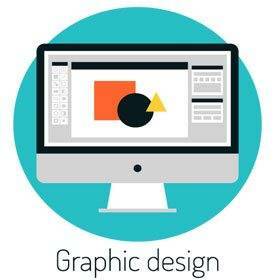 We Have All the tools and help you need to create stunning restaurant websites. Build a stunning restaurant website that attracts visitors and promotes your unique brand with the help of our restaurant web design. As one of the most highly competitive industries, the restaurant business requires professional expertise that brings repeat customers to your doors. Geek in NY can create an attractive restaurant web design that reflects the true character of your restaurant and tells the culinary story of your menu items. If you need new ways to tell your story and bring more traffic to your business, call us at (844) 433-5692 for a complete evaluation on your eatery’s website design or redesign. As a design firm, we understand that a restaurant web design must strike an emotional chord with website visitors and compel them to dine at your facilities. As a result, our graphic design team can professionally organize your homepage and key brand pages anchored with attractive photos of your menu items. Not only do these commercial-level product photos appeal to customer senses, but these graphic design elements help customers immediately identify with the type of cuisine you serve. Because we specialize in mobile optimized sites, your website visitors will be able to explore magnificent images about your restaurant whether viewing from desktop, mobile & tablets. This type of restaurant web design also allows customers to get a feel for your dining atmosphere and specific cuisine. Whether you serve all-American, made in USA hamburgers or exotic East Asian food, a professional web design can make your restaurant more appealing for the effort. For a full consultation or restaurant site review, call us at (844) 433-5692. In addition to attracting customers to your restaurant’s menu items and ambiance, our company specializes in website marketing to bring actual foot traffic to your location. In addition to direct marketing, individuals now use search engines, social media, and restaurant reviews to decide where to dine. Our company offers affordable marketing campaigns to help you make the most of the customers searching for restaurants online. For example, we can help you structure an affordable pay-per-click (PPC) campaign using our Google analytics expert tools. We can also assist you with social media advertising and online reputation management for businesses. Since we understand that stellar reviews and reputation can make a huge impact on businesses, our restaurant web design and SEO services strive to make the best first impression. Call now at (844) 433-5692 to ensure that your website makes a viable impact on the web. 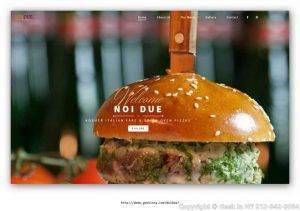 Looking to Create or re-Design Restaurant Websites? Call Geek In NY ‎(212) 842-8084 We Have All the tools and help you need to create stunning restaurant websites.